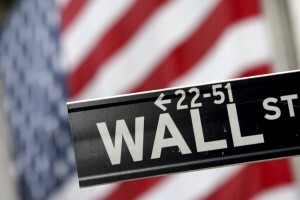 2015 Poised for a Wall Street Comeback! With 2015 just kicking in, hopes are high that Wall Street will be restored to its former pre-crisis glory and that investment banks will really start living up to their image of handling giant M&A deals and paying out huge bonuses, which has been tarnished in the post-crisis period of austerity. Things are looking up as we speak with the US economy showing more and more signs of a stable recovery and Europe on track to follow, but given disappointments in previous years, some say that it’s all too good to be true. Still, while there can hardly be any real prophets in the dynamic world of finance, it is safe to say that there are indications that investment banks will shine this year. So, let’s start from the bottom: data suggest that the US economy has for a while been well on the way to economic recovery and even the biggest skeptics find that hard to deny. The US job market, one of the main indicators for the health of the nation’s economy, has significantly improved, as evidenced by the US non-farm payroll numbers and unemployment rate which in recent months have surpassed analysts’ forecasts. Then, retail sales in the US, where consumer spending accounts for almost 70 percent of the economy, have also been on the rise in recent months, and climbed sharply in November last year. More spending on the other hand is one of the most important indicators for consumers’ confidence in the US economy. Beyond what the average US consumer might think about the state of the economy, there’s the Federal Reserve, which is on track to start raising interest rates this year for the first time in nearly a decade, having gradually wound down its massive quantitative easing program. While some investors fear that an interest rate hike would negatively affect stock markets for instance, experts say exactly the opposite. The Wall Street Journal recently quoted strategists as noting that any rate increase should be viewed as an endorsement of the US economy’s ability to withstand higher borrowing costs. Still, while the US economy looks on the way to recovery, what about Europe? According to the European Commission’s 2014 winter forecast, Europe’s economic recovery, which started in the second quarter of 2013, is expected to continue spreading across countries and gaining traction while at the same time becoming more balanced. While the Eurozone is currently struggling with deflation, the European Central Bank, which is keeping interest rates at record lows, has signaled its commitment to introduce further stimulus measures, perhaps even US-style asset purchases to kickstart the euro-region’s economy. Zooming in from the bigger picture to investment banking, the two trends – improving economy and confidence in the recovery expressed through higher spending – are likely to support surging number of merger and acquisition deals observed last year which saw a return to pre-crisis levels. According to KPMG’s 2015 M&A Outlook Survey, which included over 735 M&A professionals from US corporations, private equity firms and investment banks, an impressive 82 percent of respondents said that they were planning at least one acquisition in 2015. While the pharma sector largely dominated last year’s M&A agenda, investment banking analysts expect this year to also see a surge in energy deals given the drop in the oil price which could fuel a tendency for consolidation in the sector. It would seem that Wall Street is already anticipating the bigger bonuses set to follow this year given last year’s deal frenzy, while the potential 2015 M&A surge will translate into big payouts next year. Both last year and this year’s higher projected activity, however, are not good news only for incumbent investment bankers who have been around for a while and are now set to reap the benefits; Wall Street wannabes also have reasons to cheer since more activity means more positions opening up for prospective investment bankers. Sure, a lot of them would be for entry-level analysts and associates to do the dirty work, but, well, that’s how it is – the investment banking career usually starts at the bottom. As noted at the outset, there is no certainty that 2015 will fulfill the all the hopes pinned on it and see Wall Street rise like a mythical phoenix from the ashes. Having said that, the numbers are too good to be ignored. Of course, even if Wall Street does step up hiring on account of the bigger amount of work expected in 2015, this does not necessary mean that landing a job in a major investment bank would be a piece of cake. You’ll still need to pass the dreaded investment banking interview and have the necessary financial modeling skills. And yet, given the dynamic world of finance, 2015 seems like a pretty good time to jump on the Wall Street train as it is speeding up and see where it takes you.